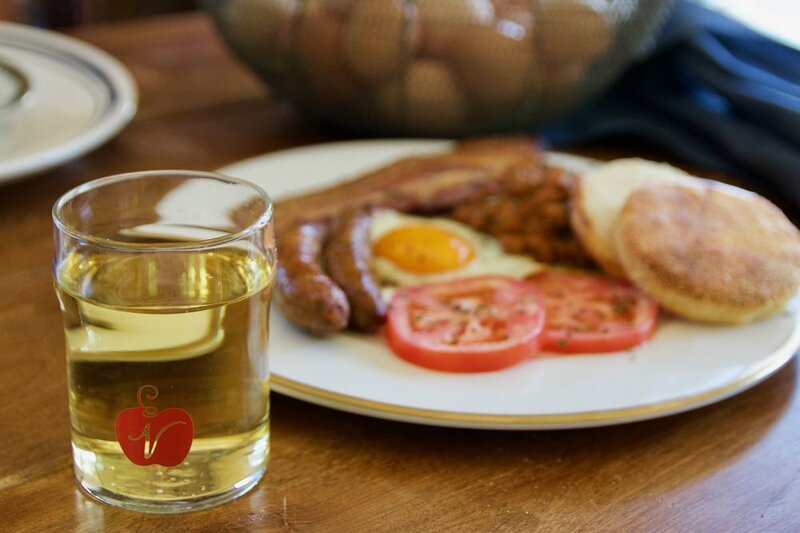 This is a shortened version of the Full English breakfast, a bit lighter and geared towards a part of a larger cider brunch. All of these savory flavors pair excellently with a dry cider like our Michigan Brut. The traditional Full English breakfast would include all of the below items, and also include black pudding and mushrooms as well.